Twitter has been acting up all week!!!!! It's been driving me crazy. Not to mention it made my phone freak out!!! Twitter I know your sick but get better soon! 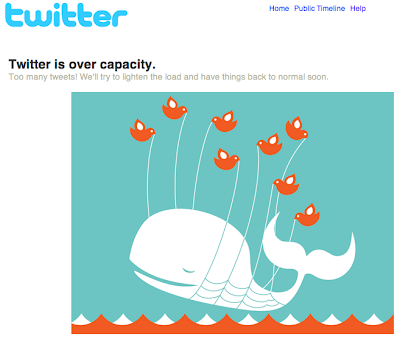 According to Twitter the hiccup is related to a Database crash. Is that true twitter? Or is it a lie? Like the Cake. iJustine made a video about things you can do when Twitter is down. Thanks for sharing that video it was so funny. Hope Twitter gets well soon.